The mission of this lodge is to achieve the purpose of the Order of the Arrow as an integral part of the Boy Scouts of America in the Gulf Coast Council through positive youth leadership under the guidance of selected capable adults. The name of this organization shall be Yustaga Lodge – WWW, of the Order of the Arrow. The number of the Lodge shall be 385. 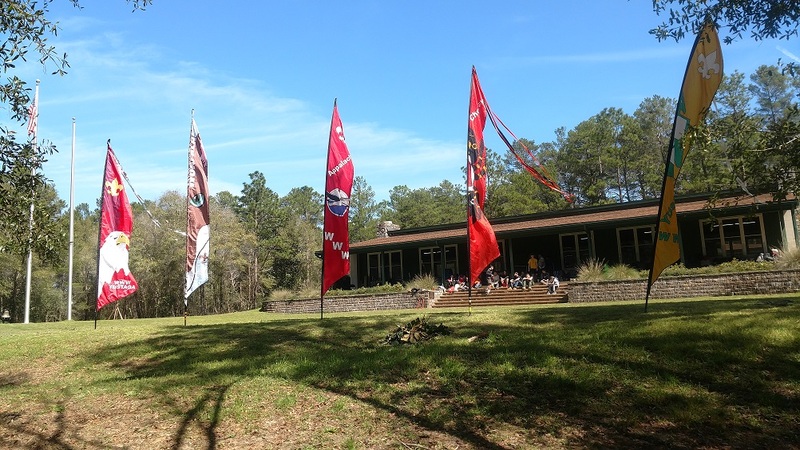 The Lodge shall be affiliated with the Gulf Coast Council (#773), Boy Scouts of America, and shall be under the supervision of the council camping committee and the administrative authority of the Scout Executive. Election to membership in Yustaga Lodge shall be in accordance with the requirements and procedures as promulgated by the National Order of the Arrow Committee. YOUTH/ADULT MEMBERSHIP: Youth membership shall be defined as any Arrowman under 21 years of age. Arrowmen 21 years of age or older shall be adult members. ORDEAL: Ordeal Membership shall be granted to a member upon successful completion of the requirements as promulgated by the National Order of the Arrow Committee. BROTHERHOOD: Brotherhood Membership shall be granted to a member upon successful completion of the requirements as promulgated by the National Order of the Arrow Committee. VIGIL HONOR: Vigil Honor selection and bestowment shall be conducted within the guidelines and procedures promulgated by the National Order of the Arrow Committee. HONORARY MEMBERSHIP: Honorary Membership shall not be granted to any individual under any circumstances. Yustaga Lodge shall not recognize any form of honorary membership in the Order of the Arrow. To be an active member of Yustaga Lodge, an Arrowman must be registered and in good standing with the Gulf Coast Council (#773), and have paid the current year's Yustaga Lodge dues. Show proof of being registered and in good standing with the Gulf Coast Council (#773), Boy Scouts of America. Pay the current year's dues and late fee. Show proof of current membership in the Order of the Arrow (Membership card or letter from previous Lodge's Adviser). Pay the current year's dues. The officers of this Lodge shall be the Lodge Chief and four elected Vice Chiefs. The lodge chief, in consultation with the lodge adviser, shall assign to each Vice Chief such administrative, program, and other responsiblities and/or oversight as maybe needed to carry out the functions of the lodge. The officers of the Chapters shall be the Chapter Chief, Chapter Vice-Chief, and the Chapter Secretary. All Lodge and Chapter Officers must be under 21 years of age throughout their entire term of office. Effective January 1, 2008, all Lodge and Chapter officers shall be elected annually at the Fall Pow Wow and will serve from January 1st to December 31st of the calendar year. Only the youth membership of the Lodge shall have a vote at any Lodge or Chapter elections. All Lodge and Chapter Officers shall be elected. In all elections, a majority (50% + 1) vote shall be required to be elected. For the election of lodge officers, each chapter present shall be given 10 votes, regardless of the number of youth members in the chapter. The Chapter Chief shall poll his chapter and cast the chapter’s 10 votes based on the consensus and polling of the chapter. The election of chapter officers shall be determined by popular election among the chapter’s youth members in attendance. Any Lodge Officer, for just and due cause, may be removed by a two-thirds vote of the Lodge Executive Committee, provided that the officer in question has been notified and has the opportunity to defend himself. That office shall then be vacant until a new officer is elected by the Lodge Executive Committee. A chapter’s membership may remove a chapter officer for just cause by a two-thirds vote of the membership present at a chapter business meeting, provided that the officer in question has been notified and has the opportunity to defend himself. The Lodge Executive Committee shall fill any vacant Lodge Office, whether the vacancy occurs due to removal or resignation, by a vote of the Lodge Executive Committee. A simple majority of the Lodge Executive Committee is required to fill a vacant office. If the vacancy or removal occurs at a lodge event or within 30 days prior to a lodge event, replacement shall be made by holding an election by the youth members in attendance at that event or the event occurring within 30 days, in accordance with the procedures set forth in Section 5 of this Article. Until such vacancy is filled, the Lodge Chief shall appoint another Lodge Officer to fulfill the duties of the vacant lodge office, in addition to the duties of his own position. If it is the position of Lodge Chief that is vacant, the elected Lodge Vice Chief shall assume the duties of the Lodge Chief until such time as the vacancy is filled. Any vacant Chapter Office shall be filled by a vote of the Chapter at the next regular or special meeting of the Chapter in accordance with the procedures set forth in Section 5 of this article. The Lodge Executive Committee shall consist of the following individuals: Scout Executive, Lodge Chief, Lodge Vice-Chiefs, the immediate Past Lodge Chief, the Chapter Chiefs, the Chairmen of the Standing Lodge Committees, the Chapter Advisers, Lodge Committee Advisers, Chairman of the Council Camping Committee, Lodge Adviser, Associate Lodge Adviser(s), and Lodge Staff Adviser. Only the youth members of the Lodge Executive Committee shall have a vote. Ex-officio members of the Lodge Executive Committee shall be the chairmen and advisers of ad hoc (non-voting) committees, during such time as the ad hoc committee is functioning. In addition, former Yustaga Lodge Chiefs and former Yustaga Lodge Advisers shall be ex-officio members of the Lodge Executive Committee. Only the immediate past lodge chief shall have a vote, provided that he is still under the age of 21. The Lodge Executive Committee shall meet at least four times a year. A special meeting may be called by the Scout Executive, Lodge Chief, Lodge Adviser or Staff Adviser, or by the written request of five members of the Lodge Executive Committee. The Lodge Executive Committee shall have the authority to act on the behalf of the Lodge. Any decision of the Lodge Executive Committee may be overturned by a simple majority of the youth members present at any Lodge Business Meeting. A quorum of the youth members of the Lodge Executive Committee must be present for any decisions to be made. A quorum shall be fifty percent plus one of the youth members. 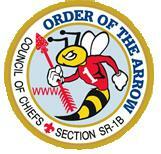 Each meeting shall be opened with the Obligation and closed with the Order of the Arrow Song. The Lodge Chief and Adviser shall annually determine the number, nature and duties of the lodge committees necessary to implement the Lodge’s programs and responsibilities. Those committees which have a year round function shall be designated as standing committees and their youth chairmen shall have a voting seat on the Lodge Executive Committee. Those committees which have a limited, temporary, short term function shall be designated as ad hoc committees. Ad hoc committee chairmen do not have a voting seat on the Lodge Executive Committee. Upon the completion of their responsibilities, ad hoc committees shall disband. The Chairmen of both the Standing and Ad-Hoc Committees shall be under 21 years of age throughout their time in office. They are appointed by the Lodge Chief, in consultation with the Lodge Adviser, and serve at the pleasure of the Lodge Chief. Committee Advisers are appointed by the Lodge Adviser, in consultation with the Lodge Chief, and serve at the pleasure of the Lodge Adviser. The Lodge Chief shall appoint a replacement to fill any vacant chairmanship and the Lodge Adviser shall appoint a replacement to fill any vacant committee adviser position. The Lodge Executive Committee shall set the Lodge dues and late fees. Any changes to the dues and/or late fee shall not take effect until the next calendar year. Anyone who has prepaid his or her dues shall not be charged the difference. All dues for the next year shall be paid before December 1st of the current year. After December 1st, a late fee shall be added to the cost of the dues. No Chapter shall charge dues. Lodge Dues may only be pre-paid one year in advance. The Lodge Executive Committee shall set all induction fees for Ordeal and Brotherhood Membership. The fee shall cover the cost of the appropriate sash, and any other materials as deemed necessary by the Lodge Executive Committee. There shall be no fee charged for new Vigil Honor Members. The lodge shall award one James E. West Fellowship, in honor of an arrowman, chosen by the Lodge Executive Committee, to support the Council Endowment Fund each year, provided the funds are available. All funds collected must be turned into the Council Office within ten days. The Order of the Arrow funds shall be handled through the Council Office and go through all normal accounting procedures used by the Council. All fund raising efforts of both the Lodge and the Chapters must be approved by the Lodge Adviser and Staff Adviser. The Lodge Budget shall be determined by the Lodge Chief, Lodge Treasurer, Lodge Adviser, and Staff Adviser. Funds must be made available for Lodge mailings, activities, and service projects. All Committee Chairmen must present their proposed committee budgets to the Lodge Treasurer. The Lodge Treasurer shall be responsible for making reports on the Lodge's finances at all Lodge Executive Committee meetings. The Council Office will pay all approved bills. The Lodge Adviser and Chapter Advisers shall be appointed annually pursuant to the rules and procedures promulgated by the Boy Scouts of America and the National Order of the Arrow Committee. The Lodge Adviser, at his discretion, may appoint one or more Associate Lodge Advisers pursuant to the rules and procedures promulgated by the Boy Scouts of America and the National Order of the Arrow Committee. The Lodge Adviser shall assign Associate Lodge Advisers such responsibilities and duties as he deems necessary. 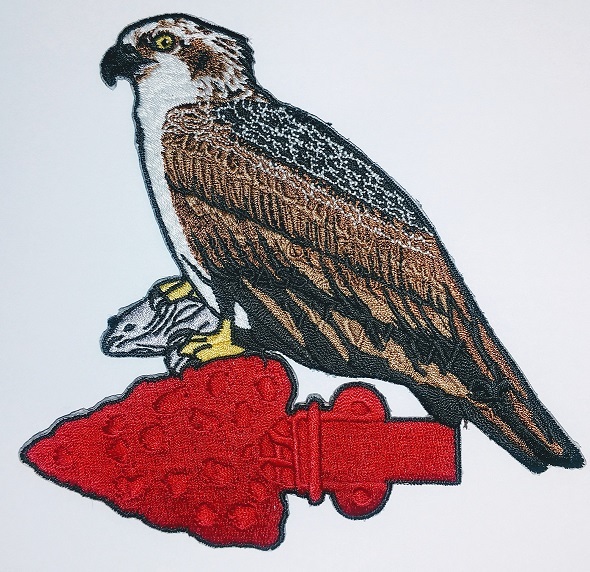 The name of the Lodge Publication shall be The Osprey. The Publication Chairman shall be responsible for the production of The Osprey. The Publication Chairman shall be responsible for editing and publishing The Osprey at least four times a year. Each Chapter Chief shall be responsible for appointing a Chapter Reporter who will serve on the Publications Committee. He will be responsible for providing Chapter information for each edition of The Osprey. SECTION 5: LODGE WEBSITE. The Lodge Website and any related electronic communication operated by the Lodge shall also be deemed an official lodge publication. The responsibility for maintaining said services shall be designated by the Lodge Chief as appropriate. The Lodge Totem shall be the Osprey. The Lodge call shall be that of the Osprey. The designs for all Lodge memorabilia, unless specified or subsequently determined by said committee, quantities of the Lodge’s initial purchase and reorders of such items for stocking of the Lodge Trading Post will be determined by the Lodge Key-3. The Lodge Executive Committee may determine pricing, purchase restrictions, and purchasing eligibility criteria for any such item. Unless otherwise set by the Lodge Executive Committee, pricing of such items shall be made by the Adviser to the Lodge Treasurer (or other duly designated Adult Adviser as determined by the Lodge Adviser) in consultation with the Lodge Key-3. Lodge Neckerchiefs are not to be resold or traded. The colors of the Lodge Neckerchief shall be gold and white. Lodge Neckerchiefs shall be worn only at Order of the Arrow events. Only Arrowmen who have been active as Brotherhood or Vigil Honor Members within Yustaga Lodge for the past ten months, and who are currently registered, may purchase a Lodge Neckerchief. Only one Lodge Neckerchief per lifetime will be sold to an individual. A Lodge Neckerchief shall not be replaced for any reason. Each individual must sign in person when purchasing a Lodge Neckerchief. And such other events as scheduled by the Lodge Executive Committee. The Annual Lodge Business Meeting shall be held on the Saturday of the Fall Pow Wow. A special Lodge Business Meeting may be called by the Scout Executive, Lodge Chief, or Lodge Executive Committee. The members of the Lodge shall be notified at the previous Lodge Event or by an official lodge publication at least ten days before any special Lodge Business Meeting is held. Each Chapter shall meet as necessary to carry out chapter and lodge programs, functions and responsibilities. The by-laws may only be amended at any regular or special Lodge Business Meeting. All proposed Amendments to the by-laws must be submitted to the Lodge Executive Committee at least one month prior to being submitted to the Lodge for approval. The Lodge Executive Committee shall only review and shall not vote on the proposed amendments. A two-thirds vote of those youth members present at any regular or special Lodge Business Meeting shall be required to pass any proposed amendments. Adoption of these Lodge by-laws shall repeal and make null and void any other previously adopted Lodge by-laws.